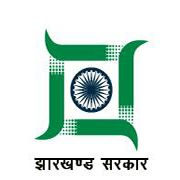 The District Transport Department of Jharkhand is a major revenue earning department. The aim of the Department is to evolve a cost efficient revenue generating system. Transport and Communication related activities are important in respect to Service Sector outcome. Smooth movement of public goods and hassle free public transport system is the backbone of modern and better administered state. A modern transportation system works as catalyst for growth oriented public economy and utility services. The District Transport Department of Jharkhand is striving to promote road infrastructure support for transportation of goods and passenger, to promote public transport and advanced quality of service, to promote modern, energy-efficient and environment, & eco-friendly surface transport system and to promote road safety and modern traffic management.